A road trip should be an exciting adventure, rather than a painful commute. All sorts of travelling require proper planning, failing which you may end up getting exhausted rather than thrilled. It’s certainly not about traveling with loads of accessories and comfort options. If you have the right mix of essential car accessories in hand, commuting would be much easier and comfortable. Let’s take a look at some of these! This is one of the most important accessories to carry, when on a road trip. 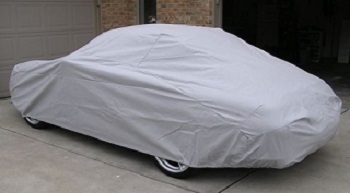 Cotton car covers in Perth WA can protect your car from scratches and dents in harsh weather conditions, which you may unexpectedly encounter on the way. It’s also useful when you take a halt somewhere to stay for a day or two, before moving further towards the destination. Going on a long drive can take a toll on the person behind the wheels controlling the steering, and hence it’s advisable to have a massaging steering wheel covers to avoid your hands and wrists from getting frozen from steering. These are easy to install and it makes driving a lot easier and comfortable. The interior of a car on a hot summer day can be an absolute furnace, and it can quickly heat up as soon as you park the car and turn off the AC. In order to avoid such a discomfort, get a set of sunshades to protect yourself and your car from the harsh rays of the sun. On a given hot day, sunshades can significantly reduce the internal temperature of the car by 10-15 degrees. This is an effective way to avoid a sudden heat stroke, before the AC takes effect. It’s quite certain that you are not leaving behind your Tommy all alone at home, and if he’s coming with you, he would surely need a space. Dog hammocks are great for traveling with pet animals, since its gives them a comfortable space in the backseat to travel in style. Hammocks also prevent the smell of body to fix itself on the car seat, which can otherwise be difficult to remove. Batteries don’t last forever, and having no charger with you is the biggest mess you can make. Multi-unit chargers allow you to charge your smartphones, cameras or ipods using one device. You wouldn’t really enjoy having a switched-off phone in a desperate situation. This is required for your safety and convenience, since it allows you to make and receive call, use GPS navigation or stream music on the go. Make sure to test the bluetooth speakers and mic before carrying them on-board. No matter how comfortable the driver’s seat of your car is, the back support can literally twist your spines on a long drive. The best way to avoid this is to install a lumbar support seat cushion which is neither too soft, nor too hard on the backbone. 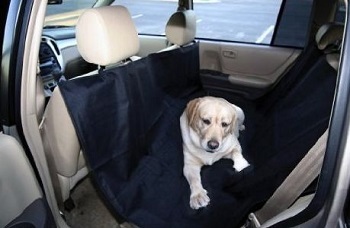 It is easily removable when not required, although its recommended for a road trip, especially during summer.